We are so proud, privileged and excited to introduce the new and exclusive Ortho Caress Helix pocket sprung divan to our collection. It forms part of the impressive natural touch pocket collection from multi award winning bed manufacturer Vogue the most recent award being runner up in bed manufacturer of the year in the prestigious National Bedding Federation awards. 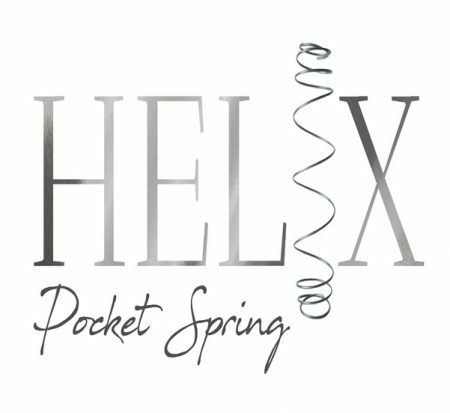 The Helix spring is not available from any other bed manufacturer. Now this is no ordinary pocket spring believe it or not it has been designed to adapt to you! The Helix provides a special combination of responsiveness, comfort and support making the springs highly receptive to individual body weights and shapes. The intelligent pocket springs are very receptive to individual body weights and quickly adapts and adjusts accordingly thus providing an equal sleeping surface for two people creating a softer feel on the outer edges and a support zone in the middle for that optimum sleeping experience.The divan is ideal for couples of different weights as the helix pocketed inner springs help reduce partner disturbance and roll together. 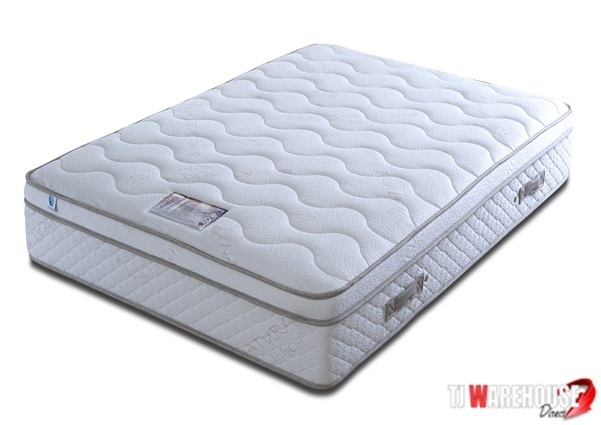 The Caress boasts a micro quilted pillow top. Microquilting is a process which involves making quite a deep surface layer by stitching the fabric to polyester sheeting and other waddings to create a surface that is deep and sumptuous. A pillow top is a mattress with a additional padding at the surface for extra comfort. A pillow top mattress is the perfect choice if you want a softer feel combined with firm support. It’s also foam encapsulated which means the pocket springs are boxed in with a high density foam giving edge to edge support and comfort and prevents the “rolling off” sensation some people experience. The foam encapsulation provides a 100% sleeping area with edge to edge comfort for better support. The Caress is finished in a quality soft knit fabric Natural touch with Tencel, the give in this fabric reacts with the pressures on the mattress for added comfort and offers excellent breathability. Tencel is a natural fibre that produces fabric more absorbent than cotton, softer than silk and cooler than linen. 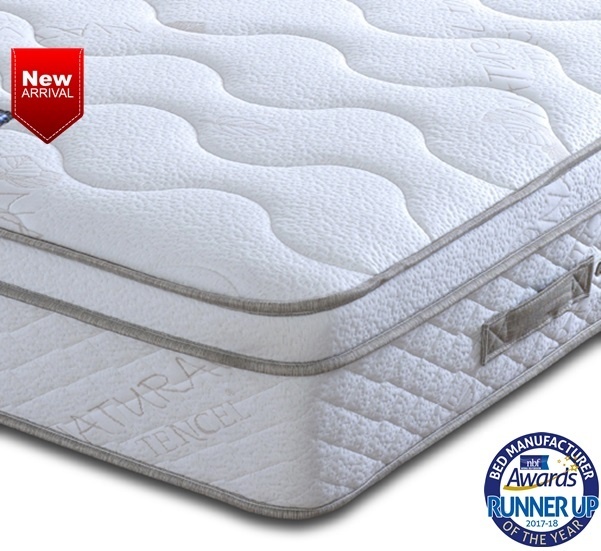 The main advantage of using tencel in the fabric cover for mattresses is temperature control. Moisture from perspiration is drawn away keeping the sleeping surface dry. The moisture then evaporates providing a cooling effect. If the sleeper is too warm he or she will perspire more . The tencel will then absorb and wick away more moisture. As the moisture evaporates it cools the sleeper. The caress has hypo allergenic polyester fillings. Polyester is a very durable filling and hypoallergenic means it is safe for individuals with allergies. Hypo-allergenic fillings were developed especially to repel allergens and allow air flow through the mattress.The border of the caress is stitched and has 4 flag stitched handles for ease of turning.